QuickPro Locksmith offers emergency locksmith, home / house and car locksmith, lockout and lock change in Mableton, GA. The average car has around 10,000 separate parts. At any given time, one of those parts could breakdown, which would mean a trip to your nearest mechanic. Those parts breaking down might not always be your fault. However, there could be one situation with your car that can only be attributed to "human error." That would be when you lock your keys in the car. When that happens, the only call you should make should be to QuickPro Locksmiths. Based out of Atlanta, the QuickPro Locksmiths serve the surrounding areas including here in Mableton. Whether your car it outside your work, home, shopping mall or restaurant we can have a certified locksmith dispatched to your location within minutes of your call. You won't be waiting long for a QuickPro Locksmith. 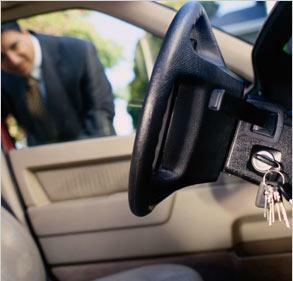 Another type of car key accident can occur if you break off the key in your door lock or the ignition. This is actually more common than you might think. The Mableton locksmiths working with QuickPro will always carry a wide assortment of replacement car keys. They can also help with keyless enter systems by gaining access to your car and reprogramming your entry point. 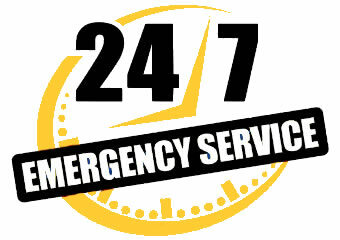 Remember, QuickPro Locksmiths are standing by 24/7/365. Call us on Christmas and we'll be there! In addition to an auto emergency, QuickPro Locksmiths provides full service residential locksmith services throughout all of Mableton. Yes, you can accidentally lock yourself out of your home as well. Having a hidden spare key might not be the best solution. That's because today's would-be robbers are savvy when it comes to all your potential hiding places. If you have a spare key, you're better off keeping it with a neighbor. However, if that neighbor isn't at home then it would be time to call QuickPro Locksmiths. Gaining re-entry into your home is a bit more challenging than getting into a car. Fortunately, the QuickPro Locksmiths have been properly trained to handle all types of residential lock out situations. They will be able to get you back into your home with a minimum amount of disruption. If there is a need to replace a lock, the QuickPro Locksmiths can offer a nice selection of home lock kits. These are the same kits that are available in major hardware stores. The big difference is that you can be assured your lock will be properly installed. Replacing home locks can be an issue if you're moving into a new residence or you have a roommate that has moved out. You should be in control of your keys and locks. QuickPro can replace all the locks on your windows, security gates, front door and garage. If you have several keys to fit different locks, then you might want to consider simplifying your keychain with a single master key that fits all lock. QuickPro Locksmiths can make it happen. That same certified residential locksmith service that is provided by QuickPro Locksmiths can extend to your business as well. It might be time for QuickPro Locksmiths to provide you with a security review of your business. They can determine where your strengths and weaknesses are with regard to locks and access points. In addition to all the exterior lock service, QuickPro Locksmiths can also help with locks on file cabinets, desk drawers and safes. A strong set of locks is the best deterrent. QuickPro Locksmiths offer a rapid response to emergency lockouts. We can also provide same-day service for the rest of your locksmith needs. All of our locksmiths are bonded and insured. That makes them the only choice for a locksmith. Call today for a free price quote and to answer any of your lock and key questions. QuickPro Locksmiths are ready to help!